The exposed ridges and meadows of Rocky Mountain National Park are dotted with these beautiful tree snags. 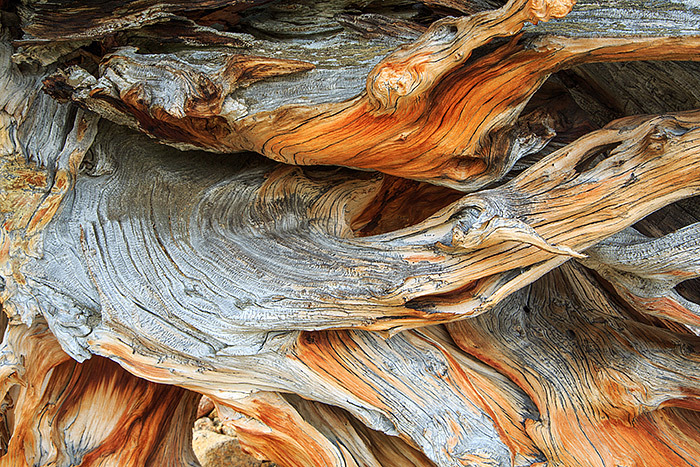 The high winds, sun and weather shape these former trees into twisted and weathered pieces of wood. No two are alike and the patterns, shapes and colors on each tree is complex yet beautiful. I found this particular snag along the shores of Sandbeach Lake in Wild Basin. Sanbeach Lake sits near the base of Longs Peak and Mount Meeker thus subjecting this tree snag to some of the harshest and windiest weather in the entire park. Photo © copyright by Thomas Mangan.